Dr. Lattinelli offers the modern Invisalign procedure for straightening and aligning your teeth. The Invisalign process uses a series of nearly invisible aligners that very gradually move teeth to their desired locations. The days of wires, braces, and rubber bands are over when you use the Invisalign process. 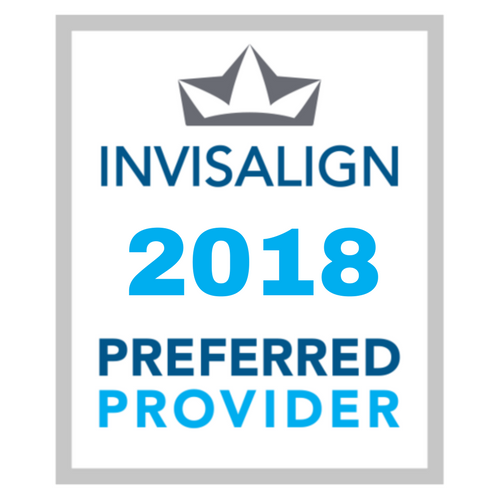 Dr. Lattinelli has been recognized for his proficiency with the Invisalign Preferred Provider award for the past decade. The process involves several steps. First is a consultation visit with Dr. Lattinelli where the process, timing, and pricing can be discussed. Dr. Lattinelli will perform an evaluation to determine if your smile can be corrected with the Invisalign process. Once the evaluation is done, an imprint of your current teeth will be made using one or more techniques of molds or 3-D digital imaging. This profile of the teeth will be used to create a series of aligners used to remake your smile into your desired look. To make the most effective use of the aligners, they should only be removed when eating or brushing your teeth. About once per week, you will change to the next aligner in the series. Each aligner will make small changes in your dental profile, allowing your teeth to slowly move to their desired positions. We will make appointments every few weeks with Dr. Lattinelli to review your progress. In several months you should see a total remake of your smile to one you have dreamed about. Contact Dr. Lattinelli today for a consultation to create your smile using the revolutionary Invisalign process.